The 11.9' inflatable boat SATURN SD360 is a low-cost inflatable motor boat with attractive appearance and heavy-duty aluminum or air floor. 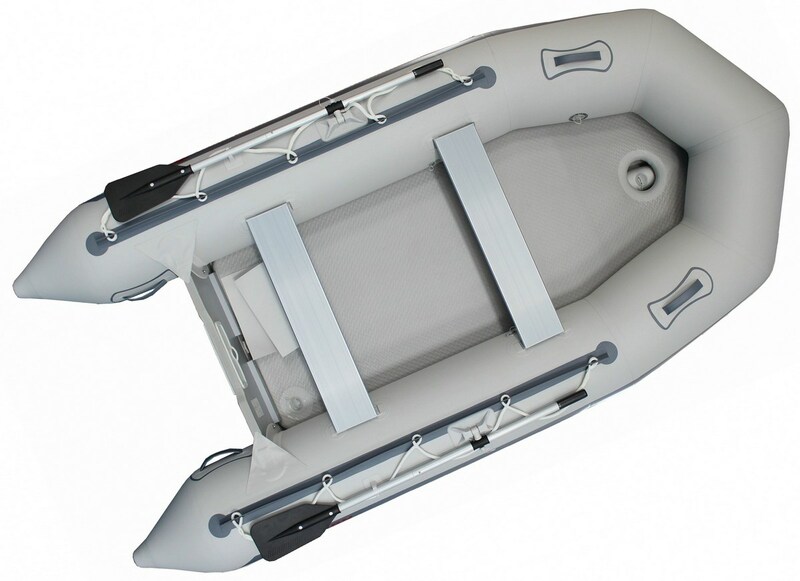 The 11.9' NEW inflatable boat SATURN SD360 is one good looking and affordable inflatable boat. It comes with heavy-duty sectional aluminum floor or high pressure air deck floor. Aluminum floor provides sturdy, corrosion-proof platform for any type of water activities - diving, fishing, snorkeling. Air deck floor offers portability, easy to assembly and added buoyancy . Not only this inflatable boat looks cool, but it also drives nice and easy. With 15HP outboard this boat will fly like a jet ski. Saturn SD360 inflatable boat great for fun day on a water, weekend explorations of waterways, and as a dinghy or tender for yacht or sail boat. Equipment: aluminum or air floor, aluminum oars, repair kit, seat bench and 1 carry bag. Video of Saturn SD360 Inflatable Dinghy Boat with 15HP outboard. 40 x 28 x 5""